What Are Your Language Learning Goals For 2014? It seems fitting on the last day of the year to reflect back on the past year and look ahead to the next. 2013 was a transition year for me. I gradually moved my life to Taiwan from California, started writing Language Boat, and committed myself fully to my Chinese language learning journey. 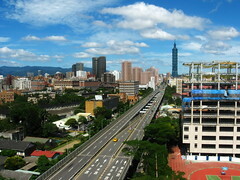 I made many sacrifices and gave up a lot to begin a new life in Taipei. It hasn’t been easy, but I feel strongly compelled to be doing this, so here I am! If I were honest about my Chinese progress in 2013, I would say it was meh. I spent months at a time in California not really studying at all. And the time I was in Taiwan, I was dealing with getting my bearings and setting up my life here. So Chinese, although supremely important, didn’t consistently receive my full time and attention. Looking ahead to 2014, I would like to make it a happy and healthy year, with efficiency and productivity being the main themes. I want to squeeze more language learning out of my day, by being more efficient with my time and resources and thereby being more productive. I have hired a Chinese tutor and plan to ramp up my lessons to three per week. In addition, I have begun to dedicate more of my attention to Chinese, by more actively eavesdropping in public, as well as seeking opportunities to practice speaking in quotidian exchanges. I’ve been working on reading a variety of materials and learning characters. I plan to continue my efforts and spend time on writing characters daily. I also am seeking more sources of language input, and I want to buy a radio that I can listen to around my apartment. The key to increased efficiency and productivity is consistency. Occasional breaks are necessary, but overall I want to be actively working on Chinese daily. I want to kick my lazy habit of defaulting to English for the sake of facile communication. I’m going to be struggling and pushing myself much harder in 2014. My goals with Italian are a little looser. Studying Italian is sort of like a treat or reward for clocking enough quality Chinese hours. A year from now, how will I know if I was successful with my language learning goals? If I engage deeply and regularly with the language, it will be a great year! Subscribe to the blog and get new posts delivered to your inbox. Thanks for reading and commenting! Happy New Year! How do you say handbag in your target language? 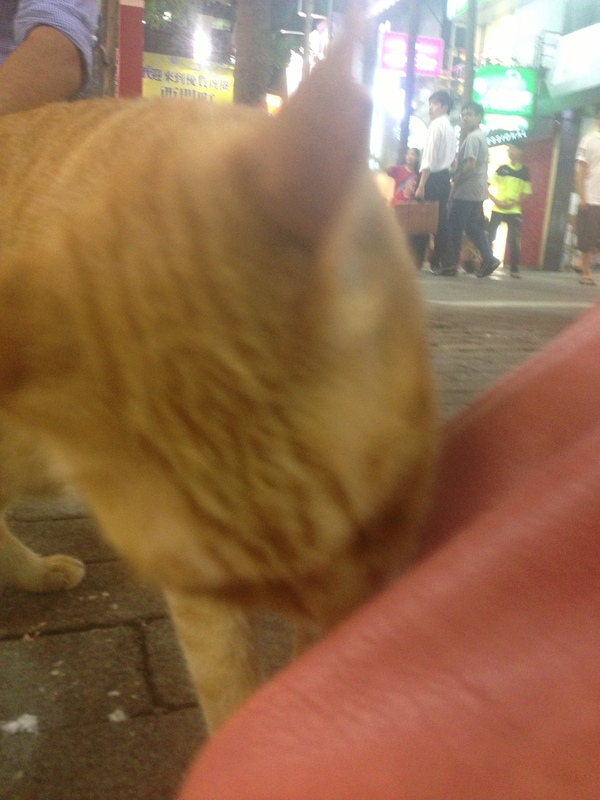 I’ve whined a little in other posts about my struggles in Taiwan with being treated as an outsider. However, today I want to highlight a different, more pleasant side of Taiwan, from the perspective of a foreigner. It’s entirely possible that it happens… But as far as I can tell, Taiwanese merchants and vendors don’t routinely exaggerate prices when they see tourists coming. Knowing that I don’t have to be skeptical and guarded for fear of being taken advantage of allows my transactions to be more enjoyable and relaxed. In a subtle but significant way, it makes me feel like less of an outsider here. Because it’s a non-issue, I almost never think about it. However, I’ve lived and traveled places where tourists get charged significantly more than the locals, so when I first came to Taipei I was on high alert for the typical ripoffs. I was pleasantly surprised to find none. Perspective Collective is an ongoing series of articles that aims to widen the lens of language learning by highlighting the approaches and ideas of successful language learners across the globe. I’ve invited several language bloggers who I admire to answer the following six questions. It is my pleasure to feature the following contribution from Kerstin Hammes at Fluent Language Tuition. 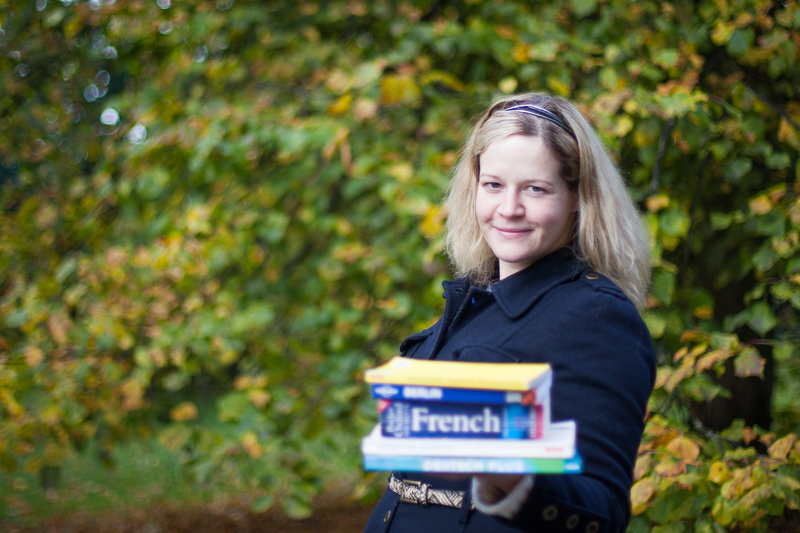 Kerstin Hammes is the lady behind Fluent Language Tuition, author of Fluency Made Achievable and private teacher of German, French and English. You can say hello to her on Twitter, Facebook and Google+. She is a native German speaker and has lived in the UK since 2003. She’s passionate about languages and has studied English, French, Italian, Latin, Spanish and Russian. I’m a native German speaker and graduated with a French degree in England, so those three are definitely my best. In addition I speak Spanish and a little Russian. Russian and French, I would say. I practice my Spanish whenever I get the opportunity, but must say that I’m learning the most new words and structures in Russian at the moment. With French, the feeling is that I am never ever finished. It’s a tough language to learn and I often just watch a bit of video, talk to someone on the phone or read an article in French to keep my current level as strong as it should be. I think I learn well with a teacher, in a relatively structured environment. I’m not the world’s queen of self-discipline and can sometimes take a little time to set up routines for myself. In addition to that, I am an extrovert and enjoy having other people around me. Their learning processes help me understand things for myself, which is very beneficial. Furthermore, I could never do without a notebook. My learning style is very strongly linked to expressing my thoughts either on paper or by talking the subject through with a teacher or fellow learner. I never manage to go very long without covering most items in the house in post-it notes or stickers that label them in a different language – this never fails for remembering vocab. In the absence of a class, I like to study and make sure that I am covering every core language skill (listening, reading, speaking and writing) so I do still follow a relatively structured method. I understand language structures and linguistics, so it helps me when I know what to expect and when I can study the rules of the language I’m encountering. Fear in the face of grammar is not for me and so I do go online or buy grammar books to make sure I understand the different endings. I want to be able to build my own sentences right from the start, and not just copy what a book tells me. For my current studies in Russian, I’m using a combination of the book “Russian in 10 Minutes a Day”, the Michel Thomas method and the free Russian course atlearnrussian.rt.com. I also listen to Russian radio stations on TuneIn radio. None of this will help me as much as a good teacher though, so I am looking forward to starting my class in the next year. When following a structured course, it’s easier to keep going. To me, it’s all down to reigning in your ambitions and replacing them with a good tracking routine. I think about what motivates me, and where I want the language to take me. For example, if I felt my Russian motivation fading and wanted to study more, I know that signing up for an exam or booking a trip to the country is very likely to give me the kick I need. As it is, I’m happy to learn slowly because after all I have a tuition company and a blog to run! Apart from that, here are a few articles that explain how I motivate myself to do things – track your progress, find no-brainer times in the day, and have a sense of humor about it. It is important to ensure that you know what it is that is driving you. Language learning motivation can come from all sorts of sources, and personally I like to think of them as a Camp Acquisition and a Camp Requirement (I wrote this down here: http://fluentlanguaeg.co.uk/blog/language-learning-motivation). And before you even hit your first rock on the road, I would urge you to make sure that you earn a reward for investing time and money into your project by getting a language tutor – this doesn’t have to be expensive, though sometimes of course you get what you pay for. The important thing is to have someone to be accountable to, so even your mum or friend can be fine for this. A responsibility shared can be a big relief here. The Chinese character 畫 (huà) stands for a painting, drawing, or picture, and also refers to a stroke in a written character. As a verb, 畫 means to draw or paint, to delineate boundaries, or to design or plan. The character comprises two parts. On the top is the radical/character for a writing instrument, 聿 (yù), a pictogram that depicts a hand holding a brush. 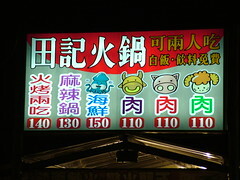 On the bottom are the radicals/characters 田 (tián) and 一 (yī), which stand for a field and the number one, respectively, representing the idea of plots of land. The original meaning of 畫 relates to demarcating land and defining property boundaries, one of the earliest activities of human civilization. Examples of terms that contain 畫 include 畫畫 (huà huà) and 繪畫 (huì huà), to draw or paint a picture; 作畫 (zuò huà), to make/compose a picture; 畫家 (huà jiā), a painter; and 計畫or 計劃 (jì huà), a plan. Traditional Chinese painting is called 國畫 (guó huà) or 中國畫 (zhōng guó huà), where 國 (guó) means a country and 中國 (zhōng guó), literally “middle kingdom,” refers to China. The idiom 畫蛇添足 (huà shé tiān zú), “draw a snake and add feet,” advises that it is superfluous to add extra effort when something is already satisfactory; one can ruin the effect and detract from the goal. 畫中有詩, 詩中有畫 (huà zhōng yǒu shī, shī zhōng yǒu huà), literally “within a picture, there is poetry; within poetry, there is a picture,” expresses great praise for a painting that is as poetic as a poem, and a poem that is as vivid as a painting. Subscribe to the blog to get new posts delivered to you inbox. Thanks for reading!